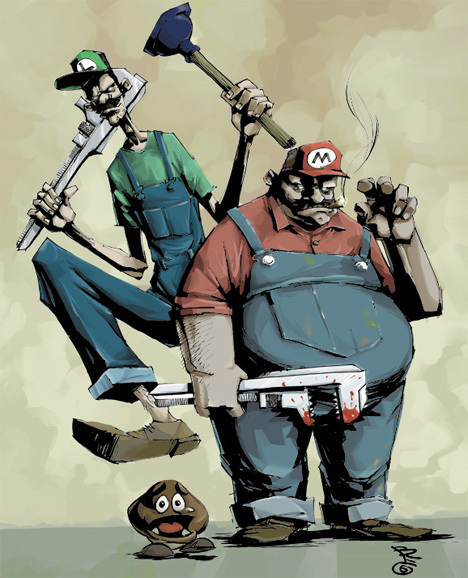 Mario and Luigi have been around for a very long time, and they’ve become ingrained into modern society in a way. They’re very recognizable, they’ve appeared in tons of games, and they haven’t changed too much in over two decades. 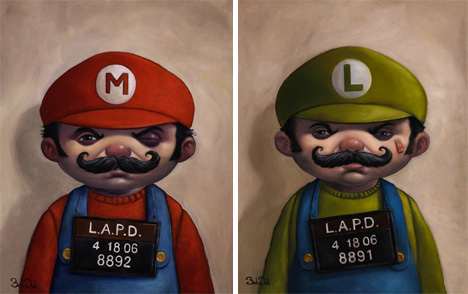 For most of us, Mario and Luigi represent a very pleasant part of childhood, and most Mario fan art reflects that. But then there are some artists who decide to go an entirely different direction with their homages to the arcade machine heroes. 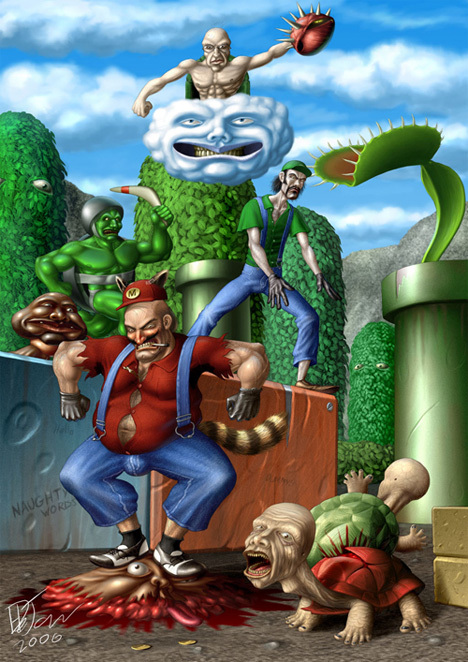 Instead of the bright, rounded, only vaguely violent world of the Super Mario Brothers games, some artists re-imagine the game world as a more realistic place, where enemies actually bleed when you stomp on their heads. This painting from Handre de Jager is admittedly sort of disturbing, but hilarious at the same time. Winona Nelson‘s vision is equal parts odd and awesome. It’s strange to see familiar baddies cast in a slightly more realistic light, but the entire painting is gorgeous. 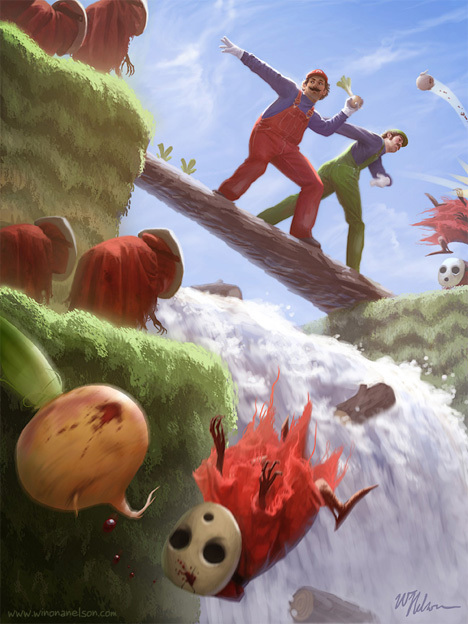 The realistic Mario and Luigi look ready to fight as they cross over the Shy Guy-infested log bridge that’s well-known to any lover of Super Mario Brothers 2. 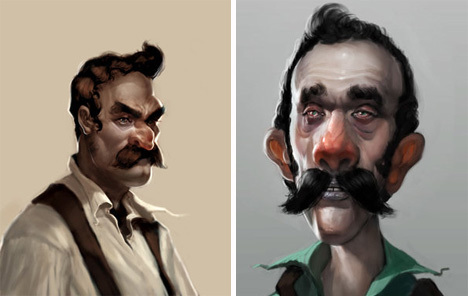 Alexei Balashov explores what the famous brothers might look like if they were actual plumbers with a mean streak a mile wide. 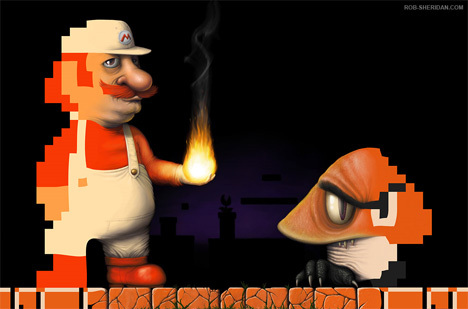 The crying goomba doesn’t do much to win sympathy for the gruff-looking Mario and Luigi. 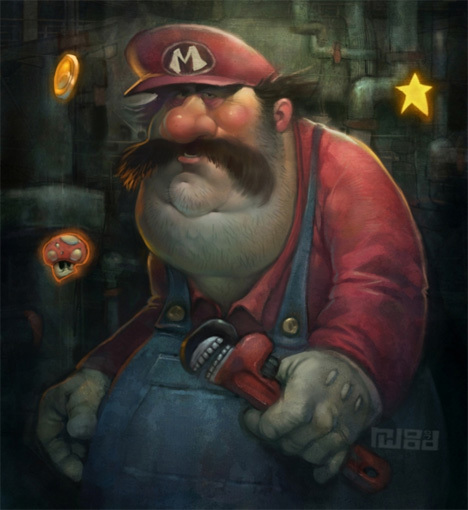 Artist Ryan Wood re-imagines Mario as an overweight, grouchy, and somewhat world-weary plumber. We have to imagine that chasing bad guys and hitting boxes with your head all day would make you a little irritable, but we pity the poor Princess when this sour dude wheezes his way up the castle stairs to rescue her. 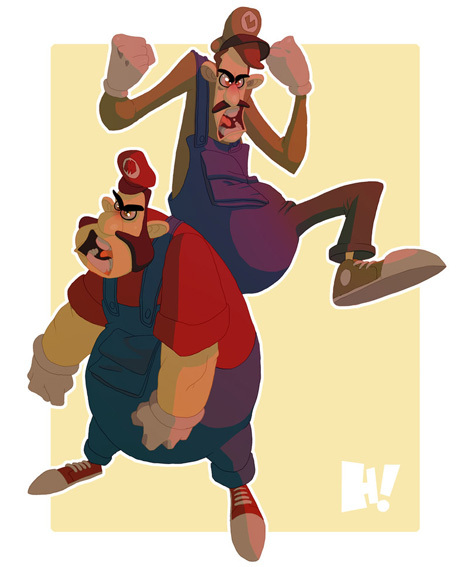 DeviantArt member Robot Pencil sees Mario and Luigi in a more serious, realistic, and somewhat tragic way. In his vision, Luigi is an addict strung out on star power. There’s no backstory for Mario, but we like to think he’ll come to Luigi’s rescue in the end. This awesome piece from Rob Sheridan places a narrow window on the in-game world so that the edges are pixelated 8-bit innocence, but the middle is a treacherous real-life danger zone. The goomba’s claws and fangs are the perfect touches to make this sweet little mushroom into a vicious killing machine. 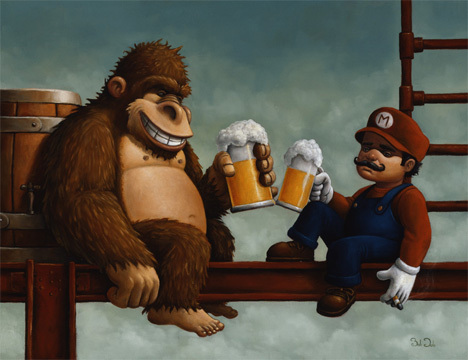 Bob Dob (also the creator of the Mario and Luigi mug shots at the top) pictures Donkey Kong and Mario settling their differences and sitting down on some scaffolding for a drink and a smoke. 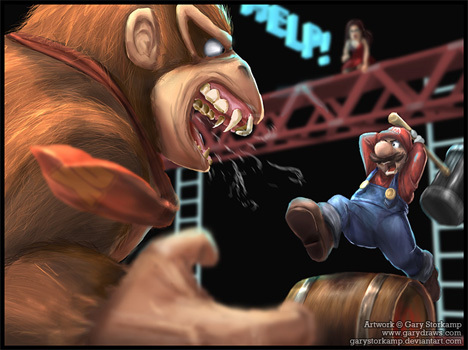 Gary Storkamp takes a different angle when depicting the relationship between DK and Mario. Here, they’re still fighting while Pauline watches their fight helplessly. While slightly more cartoony than some of the others, this piece from DeviantArt member Hugh puts huge personality into the brothers. Clearly they’re not pleased about something. Could it be that Princess has gone and gotten herself into trouble yet again?